As reported previously, my application to join the Electric Nation research trial was accepted a few weeks ago. The eVolt EVSE unit was installed today. A few of the reports from the Electric Nation project are being published on the Western Power Distribution website, for example this one about Algorithm Development and Testing. 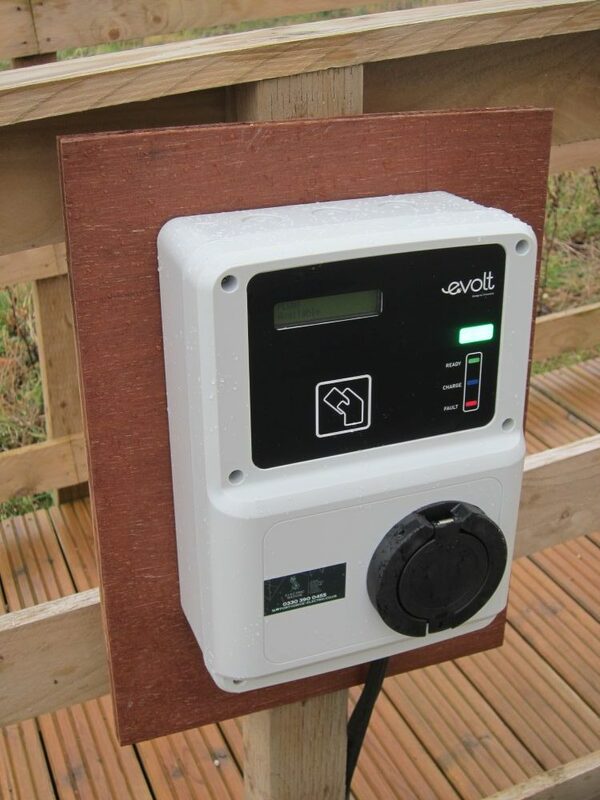 The outdoor eVolt unit has a high capacity 230V mains connection and a wired Ethernet network connection. The two cables run alongside each other which can cause electrical interference but the installer assured me the outdoor-grade Ethernet cable would cope with this – I presume it includes a foil shield. 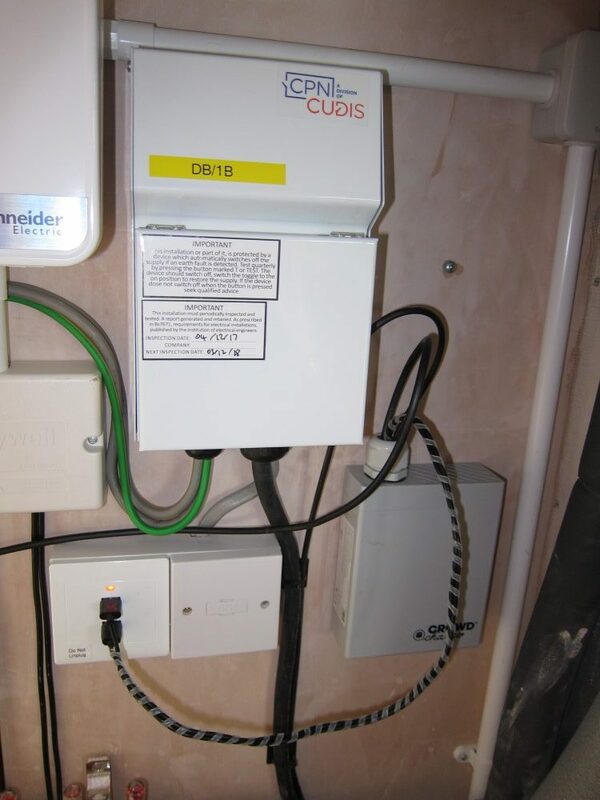 I already had a spare Ethernet network socket near the distribution boards to provide a hard-wired connection for the CrowdCharge device; if that was not available they would have installed a WiFi Bridge unit as well. 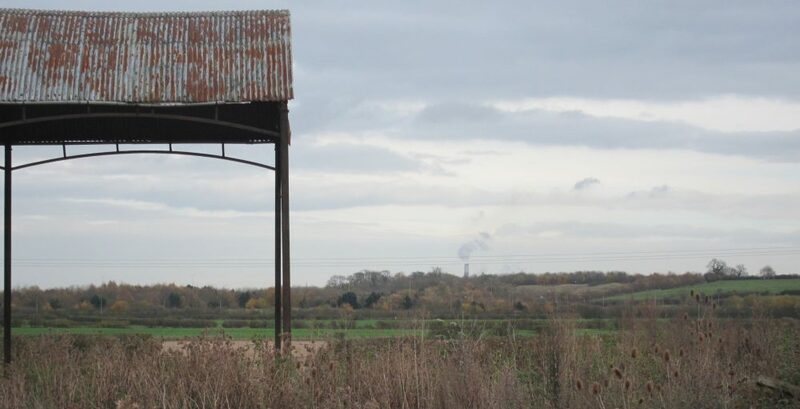 I’m well aware that the electrical installation at Marsh Flatts Farm is somewhat more complex than you’d find in a standard house so I was very careful to explain exactly what it consists of in the self-survey response. Despite my best efforts the engineers at the installation company had missed the fact there are 4 distribution boards (consumer units) in total and the installer was concerned about not having 32A of headroom from the 80A supply so the EVSE has initially been capped at 16A. The installation company is going to send me an OWL monitor so they can check how much of the 80A I’m normally using. My own monitoring shows there’s never less than 40A spare so that should be a formality. Once they’re happy, the EVSE will be remotely re-configured to supply up to 32A as originally intended.